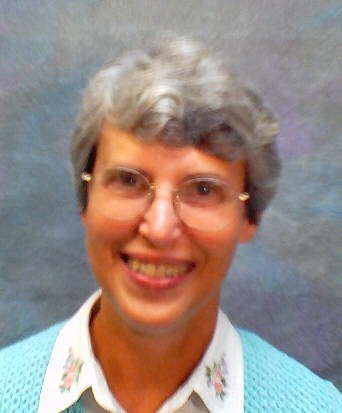 Joan E. Cook, S.C. is Associate Professor of Sacred Scripture at Washington Theological Union. Presented at the Annual Meeting of the Catholic Biblical Association in San Francisco, August 5, 2003 and posted with the kind permission of the author. The significance of the Pontifical Biblical Commissions 2001 document "The Jewish People and their Sacred Scriptures in the Christian Bible" became clear to all of us during the panel discussion at last years annual meeting. Over the course of the past year several studies of the document have been made. Today I will first summarize the comments on that address the overall contributions of the document. Then I will summarize the comments on the three areas that have been quoted or referred to the most frequently. Finally I will summarize the recommendations for ongoing study, in the hope that the document can enhance our own scholarly discussion, our teaching in our schools and parishes, and our participation in the Jewish-Christian dialogue. My analysis is based on thirteen studies that have appeared since April, 2002. They have been done by Mary Boys, Philip Cunningham, John Donahue, George Driesen, Leslie Hoppe, Joseph Jensen, Amy-Jill Levine, Roland Murphy, Michael OConnor, John Pawlikowski, Sharon Ringe, Donald Senior, and Henry Wansbrough.1 Several of these are either transcriptions or later versions of presentations given in various programs: Seniors and Levines are substantially similar to their contributions to the panel discussion at the 2002 CBA annual meeting. Cunninghams was presented to the CBA's Continuing Seminar on Biblical Issues in Jewish-Christian Relations, Donahues, Driesens and Ringes at a Washington Theological Consortium Colloquium at Washington Theological Union; Donahue incorporates the remarks of his two WTU respondents in his lecture at Immaculate Conception Seminary, posted on the BC website. Jensens was given at Catholic University and Wansbroughs at Cambridge University. These works offer valuable comment on different parts of the document, highlighting and analyzing significant parts and pointing to areas where further study and comment would be helpful toward achieving the documents goal set forth in the Introduction: "to advance the dialogue between Christians and Jews with clarity and in a spirit of mutual esteem and affection" (par. 1). In addition I call your attention to A. J. Levines article in the current Biblical Theology Bulletin,2 available to all of us here at the meeting, but not yet available to me when I was preparing this presentation. I appreciate the efforts of those I contacted to provide me with helpful information on this topic. And I apologize to those of you whose contributions were not included; computer problems hindered the effort to collect material in several instances. For detailed summaries of the document I refer you to the studies by Jensen, Senior, and Wansbrough, who was a member of the Commission that drafted the document. First, three significant contributions of the document. 1. It articulates clearly and in specific ways the development in Catholic teaching about the relationship between the Church and Judaism, beginning with Vatican IIs two fundamental teachings: first, rejection of all kinds of anti-Semitism and second, remembrance of the Jewish roots of Christianity3 gaining momentum in the words and actions of Pope John Paul II, and applauded by Walter Kasper at Boston College in November, 2002. 2. It accomplishes this end by articulating a new, carefully nuanced relationship between the Old and New Testaments; that is, it highlights the inseparability between Christianity and its Bible and Judaism and its Scriptures (Senior: 21); and it delineates a three-fold paradigm of continuity, discontinuity and progression within the Old Testament itself and between the two testaments. 3. The result is a significant step toward a new theology of the Christian-Jewish relationship, resting on the "acknowledgement of continued Jewish covenantal inclusion" (Pawlikowski:161-162). OConnor explains, "Important issues are raised afresh, and the way is prepared for a deepening of relations between Jews and Christians... The Church needs an understanding of Judaism (and necessarily, the state of Israel) that has a serious theological dimension... Reflections grounded in Scripture may clarify the issues for us" (OConnor:159). Pawlikowski agrees: the document "contribute[s] to a most important developing discussion about the proper way of understanding the scriptural basis of the Christian-Jewish relationship, a discussion which is bound to impact profoundly the more theological dimensions of that relationship as well" (Pawlikowski:166). 1. Fulfillment/progression found primarily in pars. 21 and 65, along with par. 22, which discusses the theme of Jewish reading. 2. The Conclusions, both general and pastoral, in pars. 84-87. 3. The discussion of the Jews in the New Testament in pars. 66, 67, and 69. Paragraphs. 21, 22, 65: The most frequently discussed theme of the document is fulfillment/progression, found primarily in pars. 21 and 65. These two paragraphs were directly quoted or referred to a total of 39 times, often along with par. 22 on the theme of Jewish reading of the Bible; it was mentioned 11 times for a total of 50 specific references to the three paragraphs. The section incorporates discussion of three significant themes: covenant, messianism and fulfillment. Part IIA discusses the approaches to Scripture in Judaism and Christianity, and the use they make of the Bible. Topic 5 focuses specifically on the theological presupposition that Gods salvific plan culminates in Christ (cf. Eph 1:3-14). The plan is a unity, but is realized progressively over the course of time. Topic 6 highlights the point that Christian reading of the Old Testament in the light of Christ is a retrospective reading, of which the "point of departure is not in the Old Testament itself but in the events of the New Testament proclaimed by the apostolic preaching" (par. 21). Topic 7 asserts, "Christians can and ought to admit that the Jewish reading of the Bible is a possible one, in continuity with the Jewish Sacred Scriptures from the Second Temple period, a reading analogous to the Christian reading which developed in parallel fashion. Both readings are bound up with the vision of their respective faiths, of which the readings are the result and expression. Consequently, both are irreducible." It goes on to affirm that Christians have much to learn from Jewish exegesis, and it expresses the hope that Jews can learn from Christian study (par. 22). Cunningham observes that par. 21 is "perhaps the single most important portion of the document." He quotes it almost in entirety and offers the following explanatory comments. First, Christological readings of the Old Testament (or as he prefers to call it, the Shared Testament, in acknowledgement of its fundamental significance to both Jews and Christians) are possible only to those who experience Christs death and resurrection. Thus it is not valid to fault the Jews, who do not read the New Testament Christologically because Christ is not the focus of their belief (Cunningham:6-7). Second, Cunningham observes that this section discusses the "theological presupposition that Gods salvific plan which culminates in Christ (cf. Eph. 1:3-14) is a unity, but that it is realized progressively over the course of time." This presupposition includes both continuity and discontinuity in its development, both within the Old Testament and between the two testaments (Cunningham:7-8). Murphy refers explicitly to par. 21 seven times in his BTB study. He comments regarding continuity and discontinuity in the development of Gods salvific plan over time, "There is a difference between the divine plan and the literary witness to it as found in the Bible." He goes on to distinguish between the unity of the divine plan recorded in the Scriptures, and the non-unity of the biblical witness to that plan: "But there is no 'unity to biblical writings that were scattered over centuries; they give witness to several different concerns dictated by historical events, always open to further interpretation"(Murphy:146). In this section the document then turns to the notion of fulfillment, elaborating on the realized and futurist eschatologies inherent in its discussion. The document acknowledges the complexity of the topic, and illustrates it with regard to the theme of Messiah and to readings of the books of the prophets. It reads in part, "All the texts, including those which later were read as messianic prophecies, already had an immediate import and meaning for their contemporaries before attaining a fuller meaning for future hearers. The messiahship of Jesus has a meaning that is new and original." Murphy comments, "The perspective is Christian, for it reads the Old Testament in light of the New Testament, but it is not necessarily christological, that is, it does not refer directly to Christ" (Murphy:146). For Jensen, the documents emphasis on the retrospective nature of Christian messianic reading is significant, as it acknowledges the historical development of interpretation and also eliminates any justification for accusing the Jews of not seeing what is in the text (Jensen:8). Ringe notes a difficulty in all of Part IIA, including pars. 21 and 22: that is the possibility that words like "fulfillment" and "move toward Christ" will be understood as supersessionistic (Ringe:3). Continuing its discussion of fulfillment, the document reminds the reader that Jewish messianic expectation is not in vain. It reminds Christians of the need to "keep alive the eschatological dimension of our faith." What has already been accomplished in Christ must yet be accomplished in us and in the world." Cunningham applauds this documents use of the 1984 PBC documents reference to the "resurrection as introducing Jesus into 'the world to come [1.2.6]" (Cunningham:9). Jensen notes that this section takes care "to forestall Christian misjudging of Jewish interpretation of those themes that the New Testament sees fulfilled in Jesus" (Jensen:7). He applauds the insistence on the value, for both Jews and Christians, of Jewish messianic hope. Cunningham, too, notes the inclusion, and proposes that the documents assertion, "The difference is that for us the One who is to come will have the traits of the Jesus who has already come and is already present and active among us" invites further study and dialogue. What is meant by "traits"? How does it acknowledge that God is already present and active in Jewish belief? Might it involve the divine Will present in Torah? This point is corroborated in par. 43 (Cunningham:9). Donahue proposes that further investigation of this idea might include some comment on pneumatology and the role of the Paraclete in Johns gospel (Donahue:4). Donahue notes an additional area for further development in this section. He recommends that the documents statement, "[Jesus] confers, on the notions of Messiah and salvation, a fulness which could not have been imagined in advance" calls for additional clarification in light of questions about "the meaning and diversity of Second Temple Jewish Messianic hopes" (Donahue:3). Driesen commends the paragraphs assertion, "Jewish messianic expectation is not in vain" as evidence of the Christian effort to "cleanse the Christian world of the stain of anti-Judaism." He puzzles, however, over the comment that "the Old Testament itself progressively opens up a perspective of fulfillment that is final and definitive," wondering if this comment in the document might have the effect of seeming to privilege the Christian text. (Driesen:2, 4). Hoppe notes with regard to the theme of messianism that it differed in relative importance and also in definition for early Jews and Christians. Early Jews did not consider it an important theme, but in the New Testament it is central. Furthermore, "In [Jesus] salvation takes on a new dimension. The emphasis changes from a predominantly earthly salvation to a transcendent one that surpasses the conditions of temporal existence" (par. 11). This represents a radical transformation and reinterpretation of the Jewish concept by New Testament Christians (Hoppe:151). Pawlikowski reiterates Cunninghams emphasis on the centrality of par. 21. He affirms that two assertions in the document represent "breakthroughs with rich theological potential." Both of these are in par. 21. The first is that Jewish messianic hopes are not in vain, a point that appears also in two other recent statements, "Reflections on Covenant and Mission" that results from ongoing dialogue between the U.S. Bishops Committee on Ecumenical and Interreligious Affairs and the National Council of Synagogues; and "A Sacred Obligation," prepared by the Christian Scholars Group on Christian-Jewish Relations in response to Dabru Emet. Pawlikowski observes that these statements do not resolve all outstanding theological problems, "but they place the theological discussion on Jews and Judaism on a new footing" (Pawlikowski: 162). The second breakthrough point that Pawlikowski finds in par. 21 is the affirmation that when the Jewish Messiah appears, he will have some of the same traits as Christ. While he expresses the same cautions raised by others and listed above, he recognizes the opening that the statement presents "for authentic messianic understanding within Judaism that is not totally tied to Christianitys use of the Christ symbol for such understanding." Pawlikowski explains further, "It likewise retains some sense of a profound link between the two messianic understandings, reaffirmimg the theological bonding between Jews and Christians that Pope John Paul II has made so central in his many writings" (Pawlikowski:162-163). OConnor refers to par. 21, commenting that the document reflects its largely European origins insofar as it gives scant attention to Judaism as a living tradition. He further observes, similarly to Cunningham, the predominantly exegetical focus of the document, supporting par. 21's affirmation of the historical-critical method as well as its insistence that there cannot be opposition between the original, intended sense of Scripture and its present meaning. Again referring to par. 21, OConnor highlights the documents charge to all of us to fulfill the Scriptures, "What has already been accomplished in Christ must yet be accomplished in us and in the world" (OConnor:157, 159). Senior notes, in addition to points already mentioned by others, the inseparable link between Christianity and its Scriptures and Judaism and its Bible as well as the documents insistence that "The Old Testament in itself has great value as the Word of God" (par. 21) (Senior:21). One final detail about translation in par. 21: Cunningham calls the translation of the phrase at the end of the paragraph, "The Christian... discovers in the text a surplus of meaning that was hidden there" unfortunate. This translation of the French phrase "un surplus de sens" was revised in the Vatican edition, to read not "a surplus of meaning" but "an additional meaning." Cunningham notes that the meanings Christians find in the text result from Christian interaction with the text. Jewish interaction with the same text results in additional meanings, different from those Christians find, that result from their own interaction with the text (Cunningham:6). But Jensen comments on the terminology in terms of the "new hermeneutics" following Paul Ricoeur and David Tracy, that recognizes the complexity of human communication and the impossibility of reducing it to one exclusive meaning. He reminds us that modern linguistic studies are aware of a "surplus of meaning" which can be attributed to inspired Scriptures in a special way," and that translates literally the French "un surplus de sens" (Jensen:8). Paragraph 22 follows par. 21, concluding the section of Christian understanding of the relationships between the Old and New Testaments by acknowledging the contribution of Jewish reading of the Bible. Jensen highlights the paragraph as one of the documents most significant assertions (Jensen:8). Driesen applauds the shift in teaching represented by this statement (Driesen:2). Levine notes two statements from this paragraph that are, for her, among the documents four points that call for celebration: the acknowledgement that Jewish readings of Scripture are legitimate and the assertion that "Christians can learn much from Jewish exegesis" (Levine:TBT167). Cunningham quotes almost the entire paragraph. He explains that Christians were not the only readers to find additional meanings in the text. The Rabbis did the same in an analogous and parallel fashion, applying their developing traditions about Torah to their understanding of the text. He highlights the texts assertion, "The Jewish reading of the Bible is a possible one," observing the sea change in Catholic thought that this statement represents. He adds that the comment in the document refers to exegetical work and not to sharing of faith experiences and traditions (Cunningham:6). Murphy offers the clarification that "the 'analogy between Jewish and Christian interpretation is to be taken broadly. Strict Jewish interpretation puts the written law or Torah together with the unwritten law, later reduced to writing in the Mishna and Talmud. Both are Mosaic. The Christian counterpart would be the New Testament interpretation and its elaboration in Christian tradition." It thus "has its own integrity, being in continuity with its own Scriptures" (Murphy:146, 148). I move now to par. 65, which appears in Part IIC, the conclusion to Part II. The paragraph contains the discussion of progression, the third of the three connections between the Old and New Testaments: continuity, discontinuity, and progression. The paragraph asserts, "The New Testament attests that Jesus, far from being in opposition to the Israelite Scriptures, revoking them as provisional, brings them instead to fulfillment in his person, in his mission, and especially in his paschal mystery." It then elaborates on three themes: God, human beings, and the people. Donahue expresses the same concern regarding par. 65 that Ringe made re. Par. 21; that is, the tension between affirmation of the Jewish Scriptures and emphasis on fulfillment in the person of Christ in the Christian Scriptures. Donahue points out that both Christians and Jews look forward in hope to the healing of our wounded world, but the expression risks being categorized as a rewording of the Christian promise-fulfillment mentality (Donahue:6). Cunningham quotes the entire discussion of the third theme, The People. This discussion makes a point that recurs throughout the document: the covenant with the people of Israel is irrevocable. It then refers to the new covenant promised in Jer 31:31, adding that "this is now established through the blood of Jesus. The Church is composed of Israelites who have accepted the new covenant, and of other believers who have joined them." It claims further, "Far from being a substitution for Israel, the Church is in solidarity with it." Cunningham cautions that this statement can apply only to the first few centuries of Christianity. Shortly thereafter, and through the mid-20th century, the Christian understanding shifted to the claim that Christianity was indeed the replacement for Israel (Cunningham:11). Levine clarifies a different part of the same paragraph, a statement that describes the Church in this way. "The reign of God is no longer confined to Israel alone, but is open to all, including the pagans, with a place of honour for the poor and oppressed." She notes that the document implies that concern for the poor and oppressed is unique to Christianity. In fact, it is Christianitys position that has often been exclusive (see John 14:6) while the early roots of Judaism call for concern for the poor and oppressed (Levine:TBT169). (Examples are the injunctions to care for widows, orphans, and resident aliens). Murphy raises a further concern about par. 65's potential support of supersessionist understanding. He notes, for example, the discontinuity in Christian elimination of dietary laws and practices of ritual cleanness. His concern is not with the discontinuity, but rather with the documents claim that, while these are still very important in Judaism, "the radical replacement in the New Testament was already adumbrated in the Old Testament." (This quotation overlaps pars. 64 and 65.) Murphy is troubled by the word "adumbrated" because it can be understood as an implicit validation of the promise-fulfillment paradigm. He notes, "Literary expressions and religious institutions are not shadows" (Murphy:146). Cunningham raises a question about the end of the paragraph. It quotes Heb 1:1-2, "Long ago God spoke to our ancestors in many and various ways through the prophets, but in these last days he has spoken to us through his son." Cunningham asks how this claim can be actualized today, a question that is all the more immediate in light of the military and political action, often in the name of religion, in the Middle East, a situation that has escalated considerably since the completion of this document (Cunningham:11). The second-most frequently quoted or referenced section is Part IV, the Conclusions, mentioned a total of 32 times. I will discuss this section in two parts, corresponding to the outline of the document. The first is the General Conclusion in pars. 84-85; the second is the Pastoral Orientations in pars. 86-87. References to the first part, the General Conclusion in pars. 84-85 appear 16 times. The paragraphs summarize the points discussed throughout, beginning with the assertion, "The main conclusion to be drawn is that the Jewish people and their Sacred Scriptures occupy a very important place in the Christian Bible" (par. 84). Some of the comments refer to both the General Conclusion in pars. 84-85 and the Pastoral Orientations in pars. 86-87, and I will note these as I come to them. Senior applauds the documents acknowledgement of the inseparable link between Judaism and Christianity. He quotes par. 85, "In the past, the break between the Jewish people and the Church of Christ Jesus could sometimes, in certain times and places, give the impression of being complete. In the light of the Scriptures, this should never have occurred. For a complete break between Church and Synagogue contradicts Sacred Scripture" (Senior:21). OConnor, too, quotes this sentence in his demonstration that the Christian idea of fulfillment does not negate a Jewish reading of the text (OConnor:159). Ringe affirms par. 84's insistence that "without the Old Testament, the New Testament would be an incomprehensible book." She observes, "The New Testament is biblical, and we cannot read it without taking that fact into account" (Ringe:1). OConnor refers to pars. 84-85 to demonstrate the documents affirmation that Christians can, without rejecting Judaism, speak of the Old Testament as being fulfilled in the New Testament: the New is in accord with and continuous with the Old (pars. 84-85). He then quotes from pars. 86-87 to fill out the meaning of that statement; he notes the documents reference in pars. 86-87 to the Jews as Christians "elder brothers" who deserve our "respect, esteem, and love" (OConnor:154). Cunningham notes the documents insistence on knowledge of first-century Judaism in order to interpret properly the New Testament. In fact, we will return to this theme in our discussion of the third-most frequently quoted section of the document. This section draws primarily on Pauls Letter to the Romans to explain the inclusion of Christians in the ancient covenant with Israel. Paul wrote, though, to a community who believed the end was near. Cunningham observes that the conclusion, like the entire document, is exegetical in nature. As such it lays a strong foundation upon which to take the next, crucial step; that is to actualize the text in order to attain the documents goal that Cardinal Ratzinger articulated in his preface to the document: to advance the dialogue between Christians and Jews in a spirit of mutual esteem and affection (Cunningham:14, 17-18). Cunningham here recalls Pauls treatment of the theme of Law (in Part 2, par. 45) as a reminder that Pauls message was time-conditioned, and needs to be actualized in that light. He observes in fact that the history of Christianity illustrates the tendency of all of us to be "captives to the Law of sin" as Rom 7:23 asserts (Cunningham:14). Murphy raises a question with regard to the statement that "a complete break between Church and Synagogue contradicts Sacred Scripture": What is meant by contradiction? He points out that the pastoral implications of the statement underscore the message of Nostra Aetate and the frequent statements of John Paul II. Likewise the document advocates avoiding a "one-sided reading of biblical texts" (par. 86), but offers a "thoroughly Christian interpretation of the Jewish Scriptures" in Part 2 (Murphy:148). In that same vein, Pawlikowski notes that contemporary Judaism is given scant attention in the document. Similarly, Levine observes the limited mention of Jewish readings of the Bible. For example, with regard to the Temple, par. 85 says that the New Testament "relativises the adequacy of a material edifice as a dwelling place of God" (Ac 7:48) implying a univocal Jewish understanding of the place of the Temple in Jewish life; this is an inaccurate depiction of Judaism, including its early expressions (Pawlikowski:166; Levine:TBT168-169). The Conclusions Pastoral Orientations in pars. 86-87 appear 16 times. These two final paragraphs of the document address questions of actualization of the biblical text in todays world. It concludes, "Dialogue is possible, since Jews and Christians share a rich common patrimony that unites them. It is greatly to be desired that prejudice and misunderstanding be gradually eliminated on both sides, in favour of a better understanding of the patrimony they share and to strengthen the links that bind them." Cunningham notes the importance and clarity of the section by quoting it in full, without comment, in his paper (Cunningham:15-17). Senior quotes par. 87 to affirm the documents positive view of the New Testaments attitude toward the Jews, the validity of Israels relationship with God, its unique role in history, its ethical teaching, and its corporate structure. He notes the frankness of the documents final paragraph as a sign of the growing maturity of the Jewish-Christian dialogue, which has developed steadily since the publication of Nostra Aetate (Senior:23). Murphy terms the statement a pithy and accurate description of the current situation (Murphy:149). Driesen quotes from par. 87 to express his own gratitude that the document attests "an attitude of respect, esteem, and love for the Jewish people is the only truly Christian attitude in a situation which is mysteriously part of the beneficent and positive plan of God" (Driesen:1). Donahue refers to John Paul IIs 1997 statement, "This people continues in spite of everything to be the people of the covenant and, despite human infidelity, the Lord is faithful to his covenant." He urges Christians to appreciate the "dynamism of love" that animates both Testaments. He then quotes the documents notice that the significant differences between Christian and Jewish readings of the Bible are expressions, not of anti-Judaism, but of "disagreement at the level of faith, the source of religious controversy between two human groups that take their point of departure from the same Old Testament faith basis, but are in disagreement on how to conceive the final development of that faith" (Donahue:6-7). Murphy is surprised at the assertion in par. 87, "In the New Testament, the reproaches addressed to Jews are not as frequent or as virulent as the accusations against Jews in the Law and the Prophets. Therefore, they no longer serve as a basis for anti-Jewish sentiment." He observes, "A 'reproach is much milder than an 'accusation. Jews can live and have lived with the extreme language of their Bible, but when inflammatory language has been taken up and used against them on a level not intended perhaps even by the New Testament writers, the comparison is not convincing. The judgment that such (hostile) usage 'is contrary to the whole tenor of the New Testament is correct objectively, but the Wirkungsgeschichte shows that polemic and hostility were not and cannot be removed so simply, as the history of Christianity bears out" (Murphy:148). The third-most frequently quoted or referred to section of the document is the discussion of the Jews in the New Testament in pars. 66, 67, and 69; it is referred to or quoted 12 times. This material appears in Part IIIA, The Jews in the New Testament. The introductory section is found in par. 66. Part A discusses the different viewpoints within post-exilic Judaism, first in the last centuries before Jesus Christ, then in the first third of the first century A.D. in Palestine in par. 67, in the second third of the first century in par. 68, and in the final third of the first century in par. 69. Then sections B and C comment on the treatment of the Jews in the Gospels, Acts, the Pauline corpus, and other New Testament writings. The commentators note significant shortcomings in this section, particularly its treatment of the Pharisees. Cunningham calls our attention to par. 67 in one of his two cautionary remarks about the documents methodology. He points out the lack of precision regarding which of the three Stages are represented in certain New Testament passages. He lists, for example, the documents discussion of the Pharisees that does not seem to distinguish between Stage 1 and Stage 3; this could lead to the possible misunderstanding by readers of the document (Cunningham:18-20). Levine points out three problems of historical precision in the descriptions of Judaism in the first century, C.E. that appear in pars. 67 and 69. One relates to the expulsion of Christians from the synagogue, another to the people and events at Jamnia, and a third to the characterization and teaching of the Pharisees (Levine:TBT171). Ringe, too, notes the documents characterization of the Pharisees as policymakers, a misrepresentation of the reality as we understand it (Ringe:2). Murphy notes that the paragraphs introduced by par. 66 seem "to play down the polemic between Jew and Christian, but in some cases [do] not succeed." He goes on to list examples from Matthews Gospel and from Revelation (Murphy:147). Pawlikowski points out the oversimplified description of the gradual process of separation of Christianity from Judaism found in par. 69. In the same vein, he observes the lack of emphasis on Jesus and early Christianitys positive grounding in contemporary Judaism. He refers the reader to the 1985 Vatican Notes on Christian-Jewish relations for a more thorough discussion of that topic (Pawlikowski:163). Pawlikowski does, however, commend the documents discussion of the Judaisms of the first century, C.E. and of Jesus relationship to them in par. 67. Ringe observes, on the other hand, that this categorization tends to be too "neat" in relation to the varieties of belief and practice within each of the three groups, and among those who did not belong to any of those three groups. Regarding the same paragraphs comment that Jesus theological affinity was closest to the Pharisees, Pawlikowski notes that this position could be more strongly put, especially in light of the many New Testament texts that characterize the Pharisees in negative terms, especially in their relationships with Jesus. And finally Pawlikowski points out that the documents distancing of Jesus from the Zealots can be misread as separating him from any political activity or teaching, including his strong focus on social justice in first-century Palestine (Pawlikowski:163-165; Ringe:2). In light of all the observations referred to in this analysis, the recommendations all revolve around one theme: an invitation to further study and dialogue. Mary Boys notes that the document encourages Jews and Christians to study the document and the Bible together as a way of showing the esteem, respect and love to Jews that the document calls for (IV.B). OConnor notes that here in North America there exists a real opportunity for dialogue, because of the size of the Jewish population, the favorable climate for dialogue, and the progress that has already been made in that regard (Boys:147; OConnor:157-158). Levine makes the same plea: "Our conversations must continue: it is often difficult to take logs out of our own eyes. Jews and Roman Catholics need to study carefully together both the ancient texts and their histories of interpretation. This conversation must be marked not only by open inquiry and historical precision, it must also include sensitivity to the impressions that texts  both ancient and recent  make on both their targeted readers and those outside the group. The PBC document provides the guidelines that will make such conversations between Jews and Christians productive and quite likely profound. Its problems are far outweighed by the strides it takes toward interfaith understanding" (Levine:TBT172). Murphy challenges us to read the Bible with the wonderment, awe, and admiration that is present in the Old Testament text. "Christians need to learn how to read the OT not merely in light of fulfillment, but with eagerness, and openness to its tentative and groping grasp of the mystery of the God whom Christians worship. And this is not beyond their reach" (Murphy:147). Mary Boys, "A Resource for a Journey of Rethinking," The Bible Today, May/June, 2003, pp. 141-147. Philip Cunningham, "The Pontifical Biblical Commissions 2001 Study on 'The Jewish People and Their Sacred Scriptures in the Christian Bible: Selected Important Quotations with Comments" posted on Center for Christian and Jewish Learning, Boston College website April 24, 2002. John R. Donahue, S.J., "Joined by Word and Covenant: Reflections on a Recent Vatican Document on Jewish Christian Relations," given at Immaculate Conception Seminary and posted on Center for Christian and Jewish Learning, Boston College website March 16, 2003. George B. Driesen, "Response of Rabbi George B. Driesen to Remarks of Fr. John Donahue, S.J. concerning 'The Jewish People and Their Sacred Scriptures in the Christian Bible," given at Washington Theological Union January 31, 2003. Leslie Hoppe, "The Significance of Messianism," The Bible Today, May/June 2003, pp. 148-153. Joseph Jensen, "'The Pontifical Biblical Commissions Document The Jewish People and Their Sacred Scriptures in the Christian Bible: Introduction and Evaluation" given at The Catholic University of America at a dialogue co-hosted by the Rabbinical Council for Interreligious Dialogue and the Secretariat for Ecumenical and Interreligious Dialogue of the United States Conference of Catholic Bishops, May 7, 2002. Amy-Jill Levine, "A Jewish Reading of the Document," The Bible Today, May/June, 2003, pp. 167-172. Roland E. Murphy, "The Biblical Commission, the Jews, and Scriptures," Biblical Theology Bulletin Summer, 2002, pp. 145-149. Michael OConnor, "Scripture and Its Fulfillment," The Bible Today, May/June, 2003, pp. 154-159. John Pawlikowski, "The Jews in the New Testament," The Bible Today, May/June, 2003, pp. 160-166. Sharon H. Ringe, "Response to 'The Jewish People and Their Sacred Scriptures in the Christian Bible, Washington Theological Union, January 31, 2003. Donald Senior, "Rome Has Spoken: A new Catholic approach to Judaism," Commonweal, January 31, 2003, pp. 20-23. Henry Wansbrough, "The Jewish People and its Holy Scripture in the Christian Bible," Scripture Bulletin 32 (2002) pp. 49-63. 2. Amy-Jill Levine, "Roland Murphy, the Pontifical Biblical Commission, Jews, and the Bible," Biblical Theology Bulletin, Fall, 2003, pp. 104-113. 3. Walter Kasper, "The Commission for Religious Relations with the Jews: A Crucial Endeavour of the Catholic Church," given at Boston College, November 6, 2002. 4. David Kertzer, The Popes Against the Jews: the Vaticans Role in the Rise of Modern Anti-semitism (New York: Knopf, 2001), p. 225 cited in Donahue, p. 4.